Kaplan’s first volume lingers for its entire final third on those wilderness years of 1950-53 — dumped by Columbia Records and MGM, Sinatra limped through hosting a short-lived, low-rated variety show on CBS, sang to half-filled halls, and clung to fame primarily through his rocky marriage to rising star Ava Gardner. Frank: The Voice ends in early 1954 on a note of triumph — it’s Oscar night and Sinatra has just won Best Supporting Actor for From Here To Eternity (he had begged for the role when no one wanted to hire him.) The ink has just dried on his contract with Capitol Records, where his newly-matured voice and partnership with a number of gifted arrangers (Nelson Riddle foremost among them) put him at the forefront of American popular music. 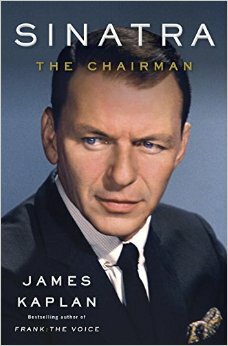 This is where Sinatra: The Chairman begins, and rewards the reader for making the slog through Frank: The Voice. This is where we get the Sinatra we want to hear about — the Mafia ties, the brawls, the womanizing, the Rat Pack, the iconic Capitol albums, the dabbling in Kennedy-era politics…Kaplan does not disappoint. When I call the first volume a slog, that’s not a knock on Kaplan’s writing. In both books it’s wonderful, almost novelistic prose. 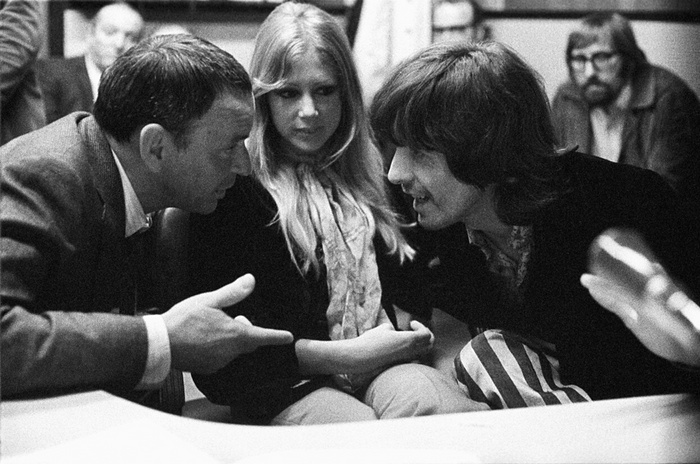 What I mean is Sinatra’s early years, personally and professionally, are his least interesting. 1954 and beyond is where the real meat is. Biographies sometimes find it difficult to strike a balance between telling the story of a life, and examining the work that life produced. They often either dwell on their subject’s psyche, or read like a chronological resume of projects. 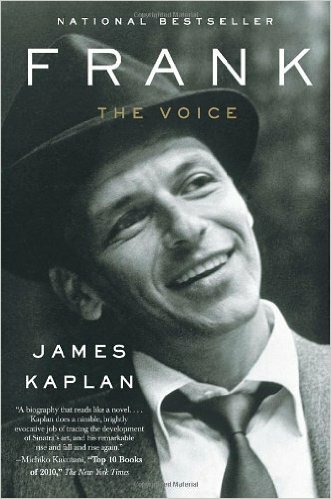 Kaplan does an excellent job interspersing Sinatra’s films and recordings into the overall picture, giving a good impression of what clicked and what didn’t, both with the artist himself (Sinatra did not care much for “Strangers In The Night,” and absolutely hated “My Way”), and with the public that paid for the results. 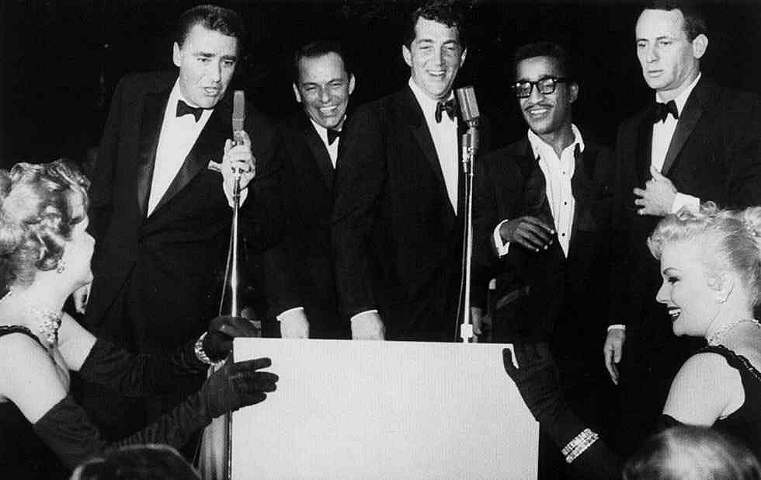 What of the legendary Rat Pack? It was mostly that — just a legend. Even the name was phony. The real “Rat Pack” was a loose-knit association of drinking buddies that revolved around Humphrey Bogart in the 1950s, which included David Niven, Judy Garland, agent Swifty Lazar, producer Sid Luft, and a few others, including Sinatra as a junior member. It faded away after the death of Bogart in 1957. When the original Ocean’s 11 began being location shooting at the Sands casino in January 1960, and its stars (Sinatra, Dean Martin, Sammy Davis Jr., Peter Lawford, and Joey Bishop) made headlines by filming during the day and putting on an increasingly raucous, boozy stage revue in the hotel’s Copa Room all night, some entertainment columnist dug the Rat Pack name out of his memory and applied it — incorrectly and unwanted — to the group tearing up Vegas that winter. Once the cameras stopped rolling on Ocean’s 11, the Rat Pack lived on mostly in people’s imaginations. The core trio of Sinatra, Martin, and Davis would get together for a few charity shows here and there, and did a couple of post-Ocean’s 11 movies notable only for their vapidity, but that was it. Somehow the notion of a group of wealthy, middle-aged tuxedo-clad singers behaving boorishly wormed its way into the public fancy and never really left. My lone quibble with the book is that it pretty much stops at Sinatra’s temporary 1971 retirement. After spending over 1600 pages on Sinatra across two volumes, the last quarter century of his life tears by in about thirty pages. Sure, he is no longer at his artistic peak, and fiery drama no longer dogs his every footstep, but there’s still so much to tell. His domineering mother’s death in a plane crash, the ill-fated Rat Pack reunion tour, his final marriage to Barbara Marx, by all accounts (except her own) a shallow, opportunistic gold-digger — all whiz by. No mention at all is made of his final film as a leading man (1980’s The First Deadly Sin), nor of his return to Capitol Records with the multi-platinum Duets (1993) and Duets II (1994). Hell, I would have even enjoyed hearing about his one afternoon doing a cameo in Cannonball Run II. Yes, a little more insight into Sinatra’s sunset years would have been appreciated. Would that have made it a triple-volume biography? Perhaps, and perhaps quite a compelling one. (The Beatles are currently getting the triple-volume treatment by Mark Lewisohn.) But if you trim a little of the overwhelming detail from the 1950-53 period in volume one and push its ending to 1960, then trim a little from the 1960-63 period and add a little to the 1971-1998 period in volume two, you would still manage a great and much more comprehensive two-volume bio.